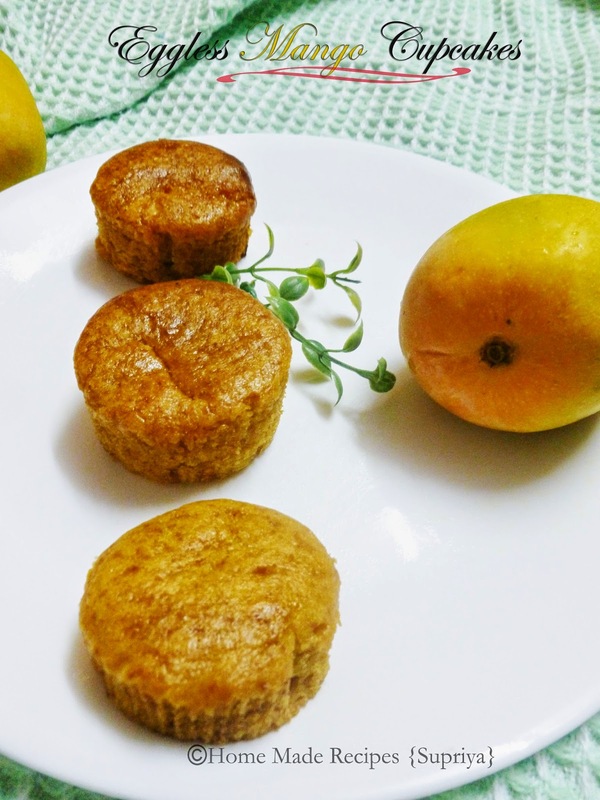 It's the end of mango season and I wanted to try baking with this juicy fruit. I made cupcakes out of this without any frosting. Its very simple and quick. This is the first time I baked this cake and my husband trying it for the first time said I didn't know this cake tasted so heavenly! Isn't that a sweet compliment! Try this out friends. It tastes too good. Rush! Go ! Get those ripe mangoes before they are gone else you will have to wait for another year to taste it again. 1. Sieve the flour, baking powder, baking soda and salt together. 2. 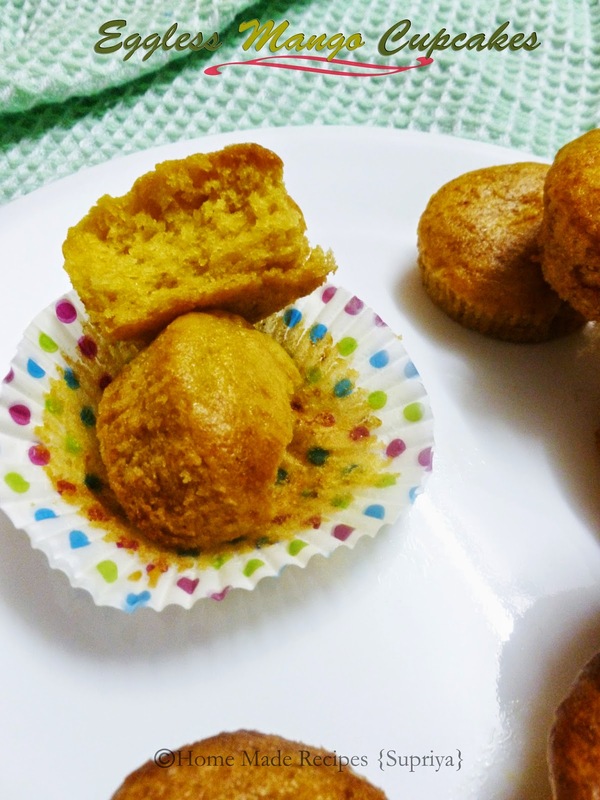 Take a mixing bowl and whisk mango puree, sugar, oil and vanilla essence till combined. 3. 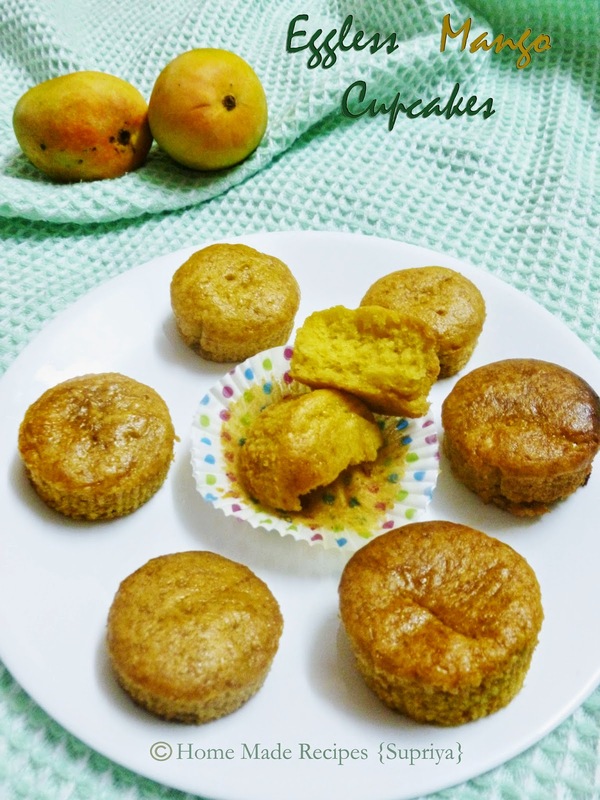 Add sifted flour mixture to this mango mixture and mix all together till combined. Don't over mix. 4. Place some paper cups in the cup cake moulds. Pour batter into these paper cups filling it about 3/4. 5. Place them in a preheated oven and bake for 40 mins at 180C. Timing and temperature differs from oven to oven, so bake it accordingly. 6. Once done, remove them from the mould and place it on a wire rack for cooling. Enjoy for breakfast or with evening tea.